Note: For those living in San Francisco this New Moon takes place overhead 46 minutes after high noon. The Sun, New Moon and planets are located in the same constellations for other parts of the world; these constellations, in differing time zones, lie in a different location above or below the horizon. The New Moon and Sun, lie in the midst of a planetary stream flowing through three watery constellations of the great Celestial Sea — Capricornus the Sea Goat, Aquarius the Water Bearer and Pisces the Fishes. In addition, the constellation of the Phoenix rises out of Eridanus, the river of life, both (not shown in the map above) lie to the south, deep in the Celestial Sea. Helpful Maps: 1, 2 Both align with the New Moon and Sun. The New Moon has humanity flowing into a great sea of consciousness. During this lunar cycle imagine the planetary river and Celestial Sea streaming forth energies that help us emerge into something new and wholesome, while we move with the seemingly chaotic currents and waves of our times. Now is the time for divination. Invoke the images that melt open your heart. Invoke the images that fuse you with Spirit. Invoke the faith that turns loaves to fishes. Vision, inspiration and hope are the manna of this new moon. Full Moon during Pisces, begins with this New Moon. Note: Uranus lies invisibly between Mercury and Jupiter. To see the location of Uranus review the New Moon map above. BTW: Jupiter is sinking toward the horizon, while Mercury is rising above it. Watch them move closer together as the days unfold. They are at their closest March 15. Open to new visions for the greater whole. Envision well-being for all. The Moon's orbit is not a perfect circle. 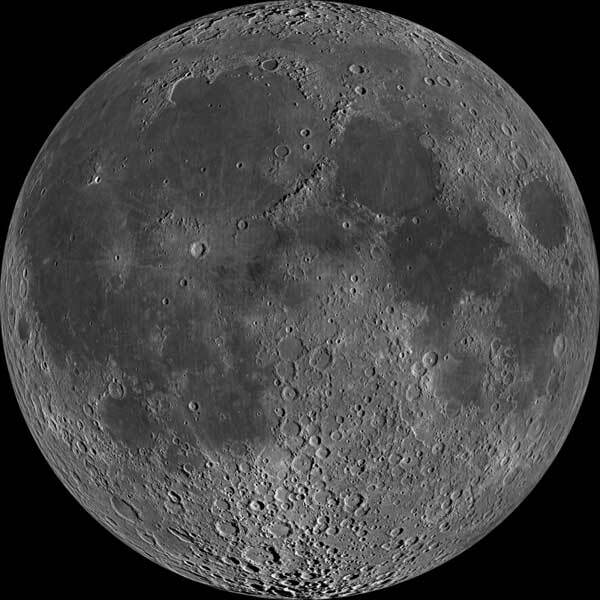 Every 27.55 days, the Moon swings closer to Earth and then loops farther away in an unending cycle of perigees and apogees. Helpful Image The Full Moon of Saturday, March 19, is at rare perigee, the closest lunar approach for the month, for the year and in 18 years! Note: The Moon is exactly Full less than an hour from perigee. The Moon averages about 240,000 miles from Earth but can get as close as 221,441 miles and as far as 252,723 miles. That's a range of over 30,000 miles. The biggest Full Moons of the year are 14% bigger and 30% brighter than lesser Full Moons. Helpful Image A perigee Moon creates higher than usual "perigean tides". However, according to NASA, these are only a few centimeters (an inch or so) higher than usual. Local geography can increase the effect to about 15 centimeters (six inches). Richard Nolle has more to say about the potential effects of perigee SuperMoons in "The Sysygy" section below. A Moon near the horizon always looks bigger due to The Moon Illusion, so be sure to catch this Moon at its most super-duper-size when it rises around 7:45pm or sets about 6:45am! Click Rise/Set/Transit Times ~ Major Bodies for exact times in your area. When three or more astronomical bodies, in a gravitational system, form a roughly straight line, we have a syzygy (siz-i-jee). The March 19 "Extra" Full Moon, as with all Full Moons, forms a straight line with our Earth and Sun (Moon-Earth-Sun), a syzygy. The March 19 perigee-syzygy Full Moon line-up is grander, extending outward to include Saturn and Jupiter (Saturn, Moon, Earth, Sun, Jupiter). This solar system view for the exact time of the Full Moon shows Saturn (yellow) and the Earth (blue) on the left side of the Sun and Jupiter (gold) on the right side of the Sun. This 3/19-20 Full Moon Map shows the Moon in relation to Saturn; they are in exact conjunction March 20 at 12:27pm PDT (19:27 UT). Saturn and Jupiter on opposites sides of the Sun play an important role in the geocosmic effects experienced on Earth. Jupiter and Saturn are now on the opposite sides of the Sun and the Sun is in its solar maximum cycle. Perhaps the gravitational pull of these two opposing massive planets disturbs the quietude of the Sun causing sunspots, solar flares and coronal mass ejections (CME's). Solar Glossary The Sun in its active cycle increases the likelihood of power grid overloads/outages and satellite disruption [*]. Solar maximum may even increase earthquake/volcanic activity and emotional upsets, however this concept is not well understood nor agreed upon. Spaceweather.com describes the solar activity of March 9-10 preceding Japan's March 11 quake/tsunami. The 5 celestial body syzygy (Saturn, Moon, Earth, Sun, Jupiter) occurring during this perigee Full Moon cycle is likely to stir up our Earth’s atmosphere, crust and oceans, and even human emotions. During this time be receptive to your inner guidance, fill up with the higher vibrations of gratitude and love, radiate healing energies into our world. Lunar Cycle Reminders ..."Now is the time for divination. Invoke the images that melt open your heart. Invoke the images that fuse you with Spirit. Invoke the faith that turns loaves to fishes." Jacqueline Lasahn "This lunar cycle is packed full of opportunities for emotional growth, personal empowerment, and spiritual expansion." Nick Fiorenza: 3/4/11 Lunar Cycle We are flowing into a great sea of consciousness. As we move with the seemingly chaotic currents and waves of our times, seek out and receive and radiate the energies that are streaming forth to help humanity emerge into something new and wholesome. March 20, Sunday, is the Spring Equinox for the Northern Hemisphere. The Sun conjoins Uranus today, with an exact conjunction occurring March 21, Monday, 5:25am PDT (12:25 UT). March 22, Tuesday, Mercury is at its greatest distance from the setting Sun, giving its best performance of 2011. Mercury sets just before 9:00pm and Jupiter sets near 8:15pm. 3/22 7:30pm Map What does this messenger of the gods have to say to you?